Programmatic booms across Asia as both publishers and advertisers realize that it offers huge potential for scale and efficiency. Among countries in the Asia Pacific region, Indonesia has the highest CARG (97%) of programmatic advertising spending, according to a report by Statista. 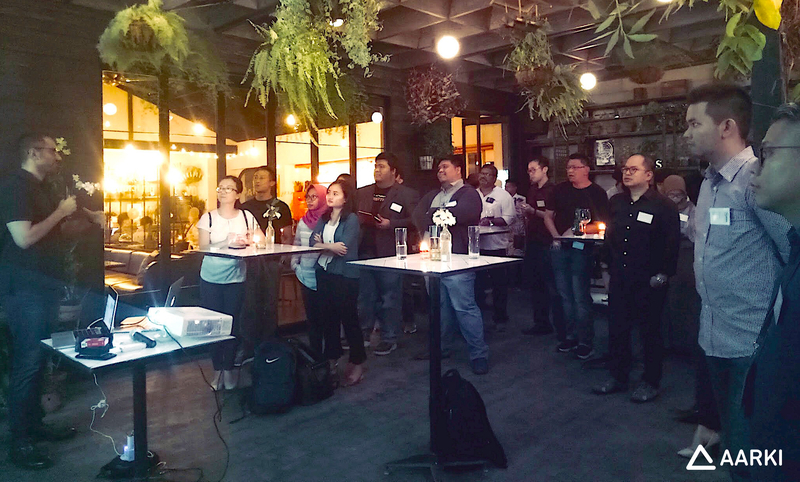 To connect with industry leaders in programmatic, Mobile Mixer landed in Jakarta. The event started with two presentations that briefly introduced Aarki and Adjust to the audience. Sid Bhatt, CEO and Co-founder of Aarki, discussed the applications of machine learning and real-time bidding, as well as creative insights for programmatic campaigns. Sid shared Aarki’s creative best practices and how these had helped clients surpass their ROI goals. April Tayson, Sales Director of Southeast Asia at Adjust, shared her insights on how they help modern-day marketers to track and analyze complete user journey and user behavior using Mobile App Attribution Analytics, Fraud Prevention & Audience Segmentation tools through seamless integration with partners like Aarki. The event was held in a casual atmosphere and the attendees were able to discuss topics that are at the top of every marketer’s mind today. Attendees capped the night by expanding their networks and taking in the panoramic view of Jakarta from the rooftop. As the market continues to evolve with increasing demand in the programmatic space especially in Asia, Aarki is excited to see what's ahead for us in the next couple of months.